01 November 1943: Keel laid at the Consolidated Steel Co., Orange, Tex. March 1946: Placed "In Commission, In Reserve" at San Diego, Cal. 13 June 1973: Sold for scrapping to the National Metal & Steel Corp., Terminal Island, Cal. 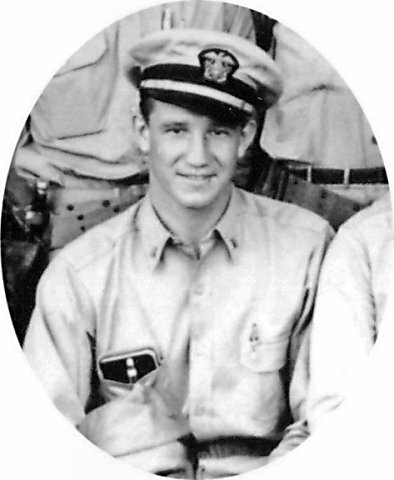 31k Richard Wayne Suesens was born 30 April 1915 at Burlington, Iowa and enlisted in the Naval Reserve 31 May 1938. Appointed Aviation Cadet 4 October 1938 and commissioned ensign 15 October 1939, he reported for duty in Torpedo Squadron 3, on board Saratoga (CV 3) 20 November 1939. Promoted to lieutenant (junior grade) 01 November 1941, he was killed in action during the Battle of Midway, June 1942. 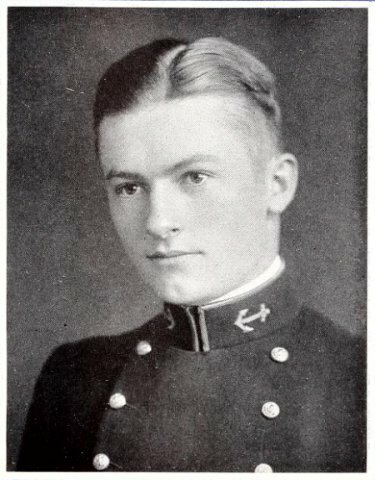 For his "extraordinary heroism" in pressing home his attack on Japanese naval units during that battle, despite "tremendous antiaircraft fire and overwhelming fighter opposition", Lieutenant (junior grade) Suesens was awarded the Navy Cross posthumously. 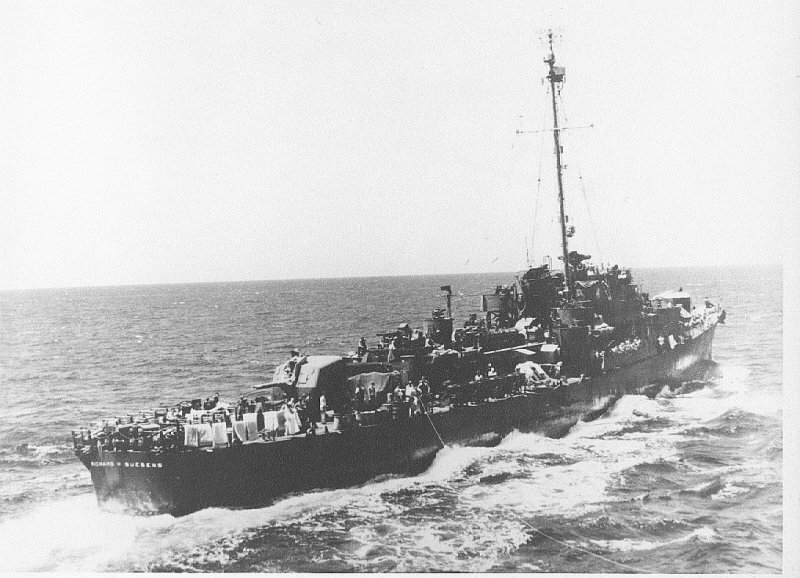 USS Richard W. Suesens (DE 342) (1944-1947) was the first ship to be named in his honor. 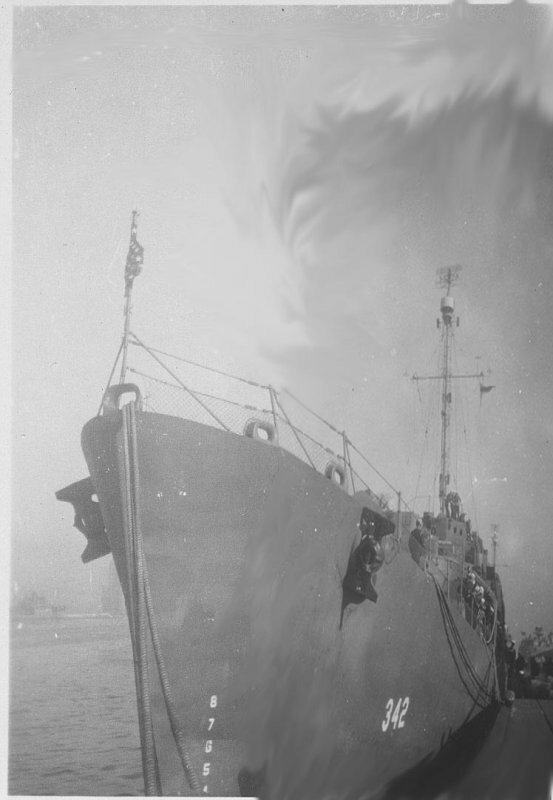 View the USS Richard W. Suesens (DE 342) DANFS history entry located on the Naval History and Heritage Command web site. 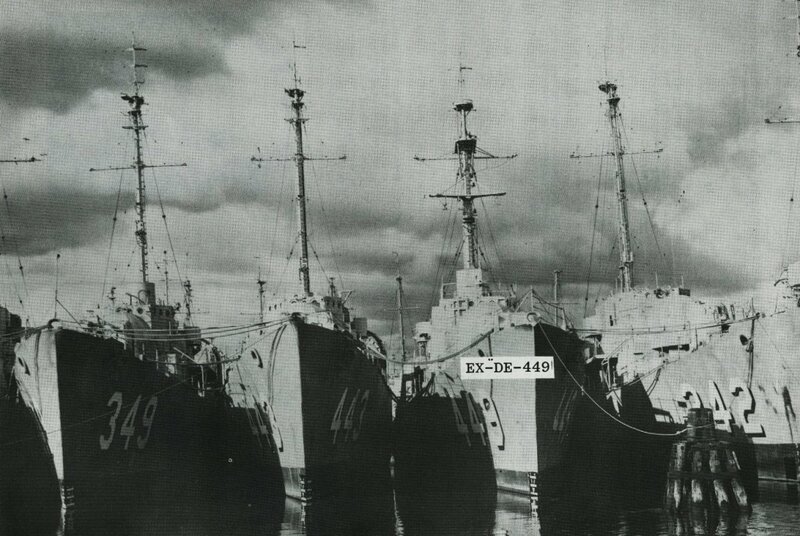 View the official War History of USS Richard W. Suesens as submitted by the ship at war's end.